Had lots of fun at WAKUWAKU JAPAN MUSIC FESTIVAL that was held about a week ago at JCC Senayan, Jakarta. *WAKUWAKU (ワクワク－わくわく) itself means ‘excited’ or ‘thrilled’; which best describes our feeling about it, too! WAKUWAKU JAPAN MUSIC FESTIVAL featured both Japanese and Indonesian artist performances like Flumpool, JKT48, Afgan and Bunga Citra Lestari. Attended by many fans and J-culture enthusiasts, the event was a success! We were most excited watching Flumpool and JKT48 performances. 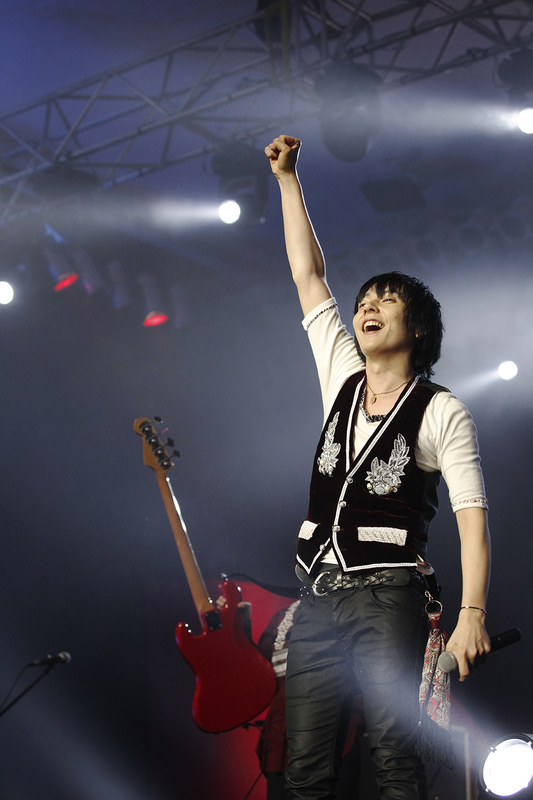 Flumpool’s vocalist Ryuta Yamamura (山村隆太) was SO HANDSOME!!! When the show was almost over, we went all fangirling with Stella Lee over him. It was like, “Okay, one… two…… three! RYUTAAAAAAAAAAAAAAAAAAAAA!!!!!! !” lol! Now JKT48 was entertaining in a whole different level. In case you don’t know about them (which is doubtful, but well, just in case..), JKT48 is an Indonesian idol group which has the same concept with it’s super popular sister group AKB48 in Japan. Their concept is “idols you can meet” and unlike regular idol groups which would occasionally perform on concerts or TV shows, JKT48 performs daily at fX Sudirman, Jakarta; just like AKB48 who performs daily at their own theatre in Akihabara, Japan. In addition to the Japan Music Event, on 22 February 2014 at Balai Sarbini Jakarta, WAKUWAKU also presented ULTRAMAN COSMOS LIVE STAGE with live action show from Ultraman and the Kaijus (monsters) themselves!! It was unexpectedly very cool! 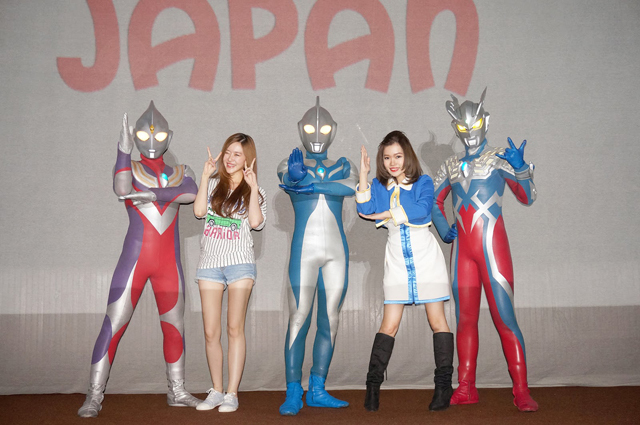 Behold Ultraman fans out there, here’s our EXCLUSIVE PHOTO WITH THE ULTRAMEN!!! Anyway, you see the dad beside me? The whole show his daughters fell asleep and he was the one enjoying the show whole-heartedly. Even shouted, laughed and clapped enthusiastically during the show lol. Must be an avid Ultraman’s fan since he was a kid. XD Thanks WAKUWAKU for holding such delightful events for all of us! All in all, we’re so glad with the events and we cannot wait to share with you the amazing TV programs that WAKUWAKU brings to us. Especially the doramas (J-Drama)! Very good time! could oughout pls help me to possess a ym detector scanner? Someone employed our acct and may detector protection identify if the cyberpunks additionally watching the wife’s spy cams whilst we are going to chatting? thanks a lot! nice pictures, smart & beautiful. Create your own ringtone by downloading the latest ringtones.